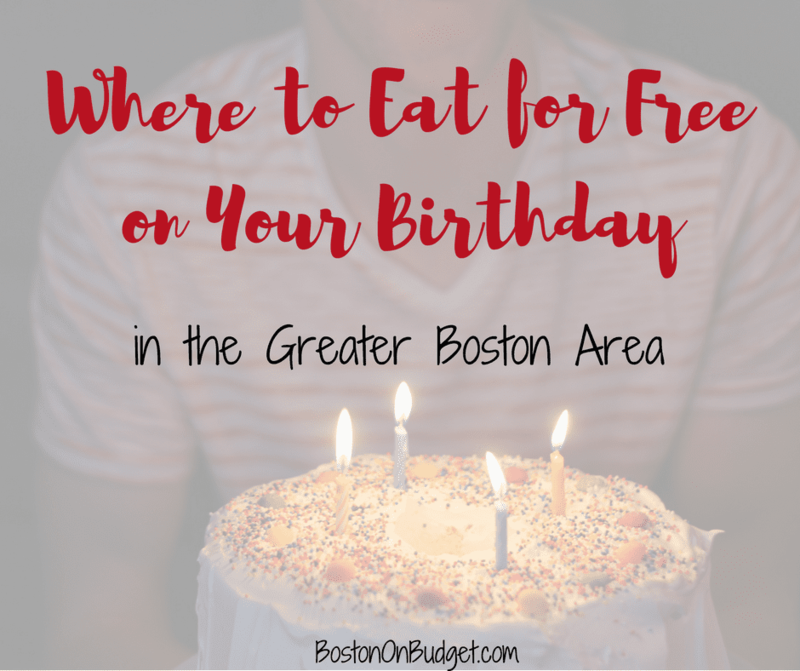 Psst… This post has been updated and you and you find Birthday Freebies and offers in 2018 here. Are you looking to celebrate your birthday with all the free food and fun you can find? 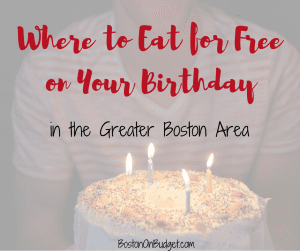 There are so many restaurants, retailers, and companies in the Boston area that give a little something to celebrate your birthday, but sometimes it takes a little planning to receive a birthday freebie like joining a rewards program or signing up for their e-mail list. I am signed up to a lot of birthday clubs and e-mail lists, so I receive A LOT of e-mails during my birthday month (February). The majority of the offers came one week before my birthday, but some did come on February 1st too, so if a birthday offer sounds particularly wonderful to you, you may want to sign up a few weeks ahead of time. Unfortunately, there were a few offers I received in years past but sadly did not receive this year (I’m looking at you B.Good!) and could not include on this list. You can see the free bday offers from 2016, 2015, 2014 and 2013 to check out what I received them + read the super helpful comments too. Also, thank you all for commenting on previous Birthday posts as I got a few new birthday deals this year to take advantage of! Please let me know in the comments if I missed any awesome birthday offers and deals this year! *This post does contain a few affiliate links. Please see my disclosure policy if you have any questions. You can get free dinner and a show at Bisuteki Tokyo Japanese Steak House at the Courtyard Marriott Hotel Cambridge. This is one of those places where you sit next to the grill and the chef twirls knives, plays with fire, and tosses food in the air… oh, and did I mention that the food was really good also. No eclubs to join, no email coupons to look for, just show up on your birthday with your ID and have fun! How do I sign up for the Chateau eclub if there is know way to do so on their website?